Take a good look as it won't be the same on Monday. 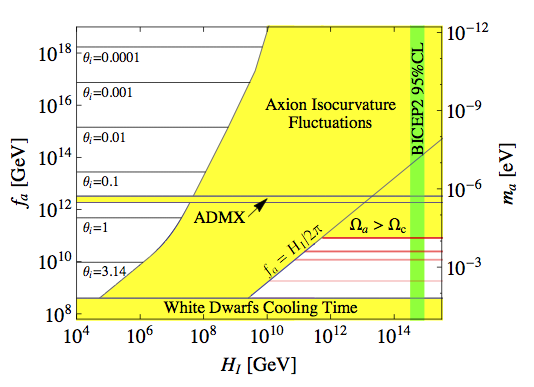 COBE was first to measure the amplitude As of the primordial scalar fluctuations in the CMB. 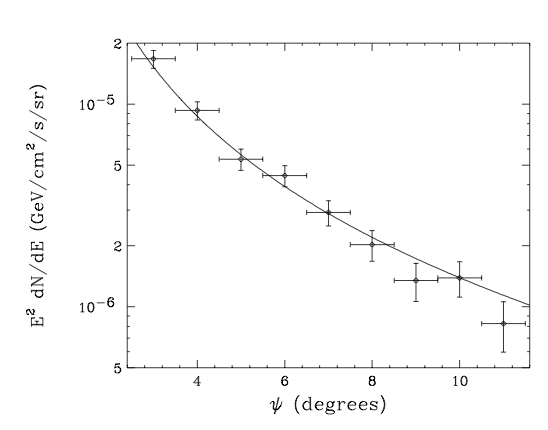 More recently, WMAP and Planck and other experiments pinned down the so-called spectral index ns (x-axis in the plot), which measures the departure of the scalar fluctuation spectrum from scale invariance. In the vanilla model of inflation, these two parameters are related to three parameters of the inflationary potential: the absolute value, and the first and second derivatives during inflation. 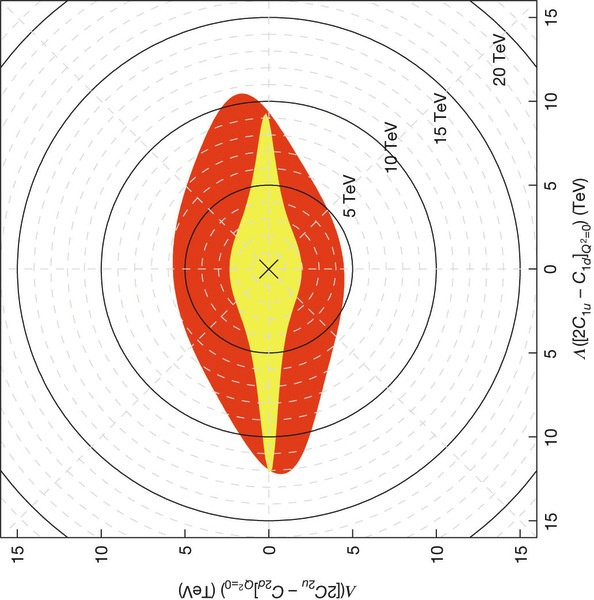 To connect all dots we need another observable - the amplitude At of the primordial tensor perturbation spectrum, or equivalently, the tensor-to-scalar ratio r=At/As (the y-axis of the plot). This observable is directly related to the absolute value of the potential during inflation. 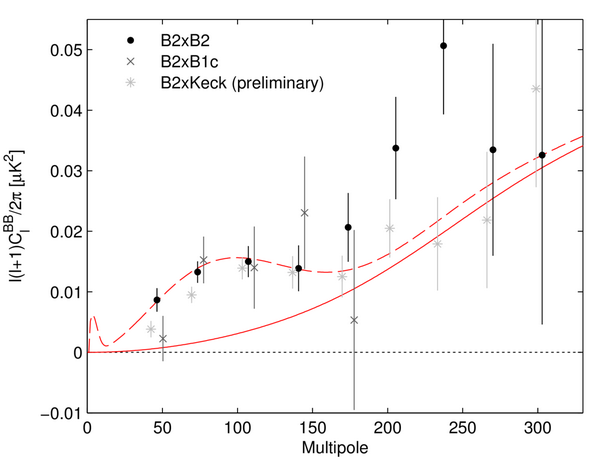 To measure the tensor amplitude, one needs to see a special pattern in the CMB polarization spectrum - the so-called B-mode (more precisely, the primordial B-mode; the non-primordial B-mode, induced by gravitational lensing effects on the CMB, was observed by the SPT and POLARBEAR experiments). The rumor is that BICEP2 - a small-scale experiment down at the South Pole measuring the polarization of the CMB - pinned down the primordial B-mode. Various rumors quote the measured value of the tensor-to-scalar ratio between 0.06 and 0.2. 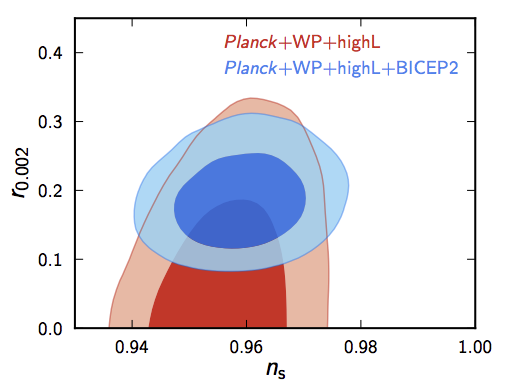 For the former value, it is hard to understand how BICEP2 could obtain a statistically significant discovery, while the latter value is in tension with the results from WMAP and Planck. We'll see on Monday, when the press conference of BICEP2 is scheduled. If this is true, we learn that the energy scale where inflation happened is around 2*10^16 GeV. 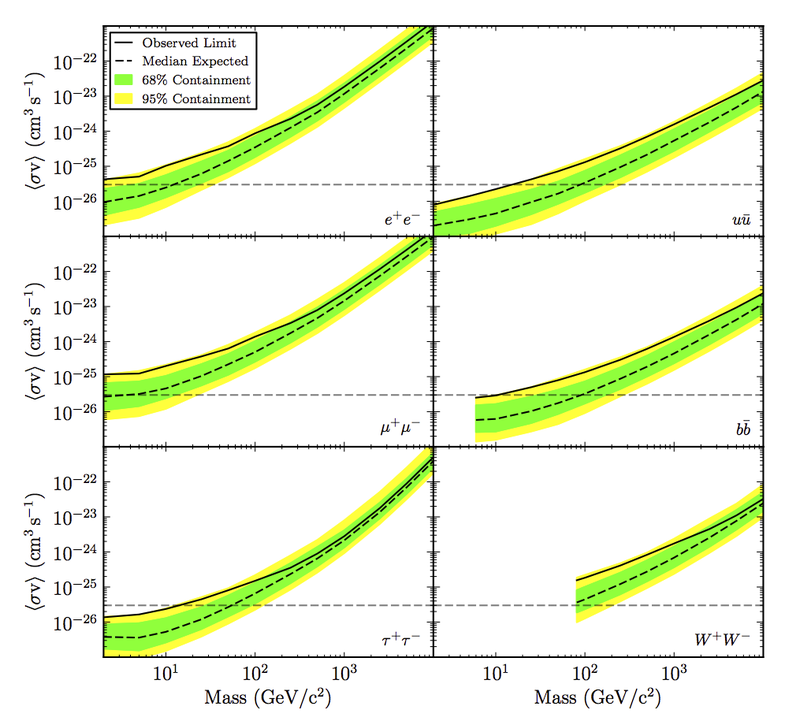 This would be the first direct evidence for a new particle physics scale between the electroweak and the Planck scales. One final remark: newspapers are spinning this story as the discovery of gravitational waves. 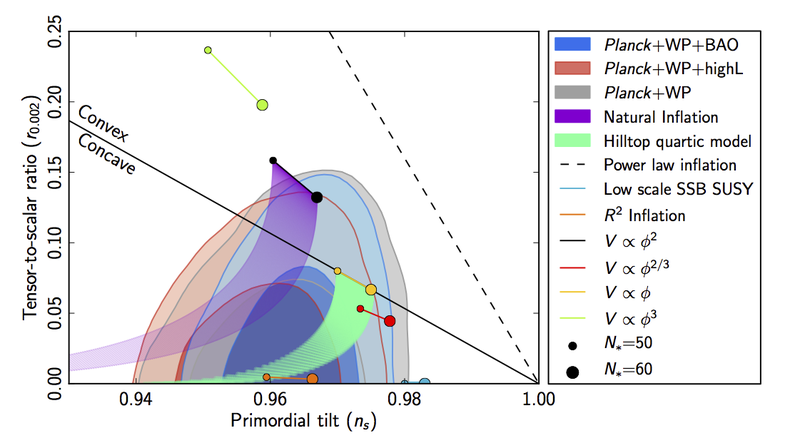 Right, there is a connection: the primordial B-mode amplitude originates from fluctuations of the metric at the time when CMB photons decoupled from matter. 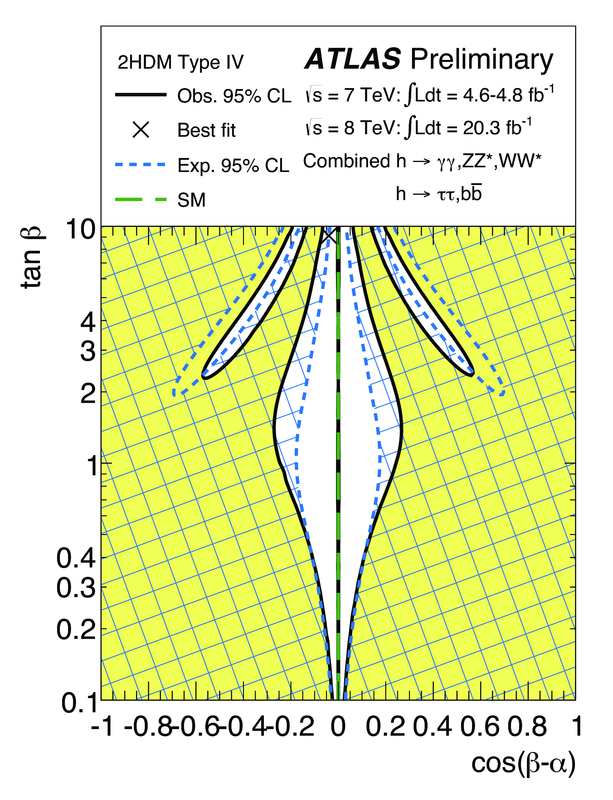 So finding the B-mode can be viewed as another (after the Hulse-Taylor binaries) indirect confirmation of the existence of gravitational waves. 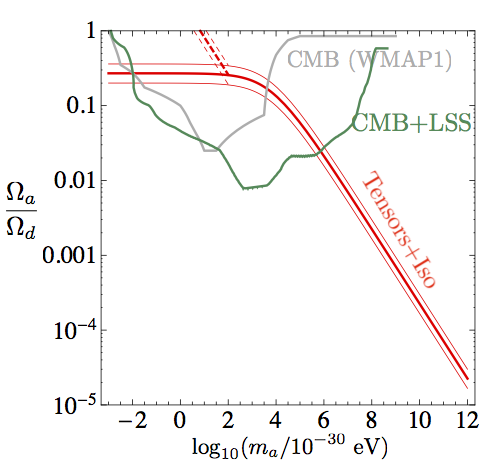 But the discovery of the primordial B-mode in the CMB is much much bigger than that. For more rumors and counterrumors see here and here and here. Another rumor is that Guth and Linde will be present at the press conference on Monday. 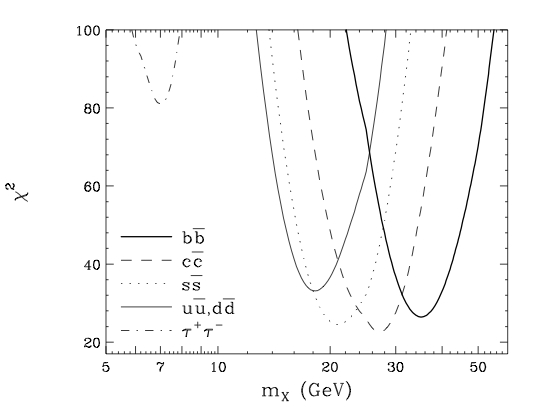 The graph shows the number of years the signal has survived vs. the inferred mass of the dark matter particle. 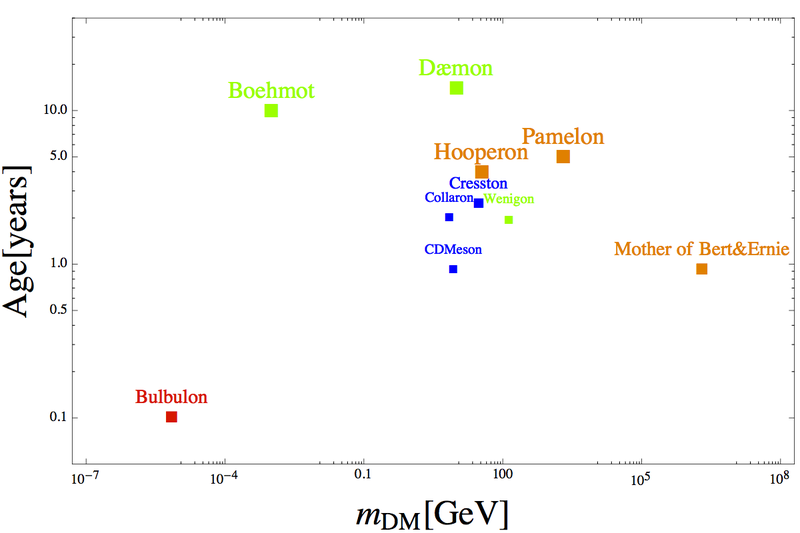 The particle names follow the usual Particle Data Group conventions. The label's size is related to the statistical significance of the signal. The colors correspond to the Bayesian likelihood that the signal originates from dark matter, from uncertain (red) to very unlikely (blue). 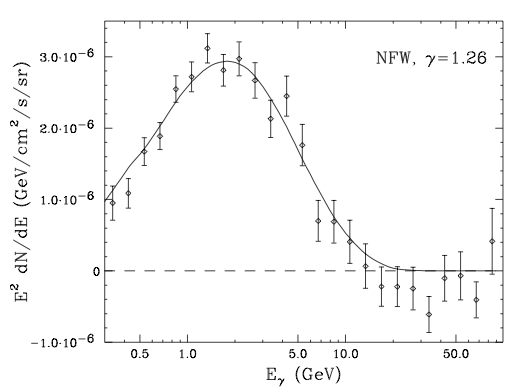 The masses of the discovered particles span impressive 11 orders of magnitude, although the largest concentration is near the weak scale (this is called the WIMP miracle). If I forgot any particle for which a compelling evidence exists, let me know, and I will add it to the graph. Here are the original references for the Bulbulon, Boehmot, Collaron, CDMeson, Daemon, Cresston, Hooperon, Wenigon, Pamelon, and the mother of Bert and Ernie.